PROFESSIONAL SERVICES OFFERED FOR BUYERS AT BUYSELL INC.
As one of the most successful business brokerages in San Diego, we at BUYSELL INC. understand and respect the frustrations and challenges of purchasing a business. When you work with BUYSELL INC. you are working with the most knowledgeable, professional and market savvy brokers in San Diego, who are dedicated to helping you accomplish your business goals. Purchasing a business is a major decision, which will change your financial situation and the way you live your life. If you are ready to make the most important business decision of your life, we are with you. -The chance to be your own boss! However, before taking the first step to look for a business, you should realize that owning your own business is more than having a full-time job. Whether it is an owner/operator business or absentee business, it needs your full commitment, time and effort. Business ownership is NOT simply an investment, the responsibility of making the business a success rests with you and only you. -Buyer is required to complete the Non Disclosure Agreement to keep the confidentiality of the business before our brokers are able to provide buyer the business profile. 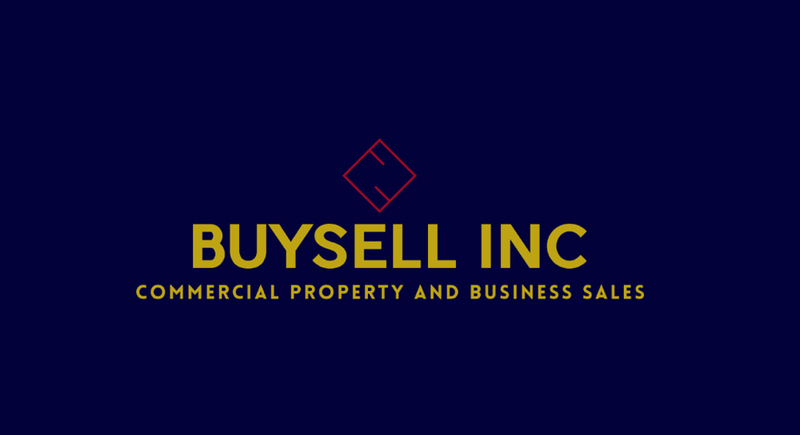 -BUYSELL'S brokers will continue working with the buyer to find a business that fits the buyer's interests without the need to sign an additional NDA for up to 24 months. -When the buyer is interested in the business provided by BUYSELL INC, the broker would make a private appointment for the buyer to meet with the owner and view the interior of the business before or after business hours. -Unlike residential sales, Business sales are strictly confidential. Thats why you never see a for sale sign in front of a business. -The information about the business such as the lease info, the gross sales and net profit are sensitive pieces of information and would be disclosed to the buyer after we obtain a signed NDA. -The second page of the NDA would also be beneficial to the interested buyer since the buyer would gain access to our vast inventory of businesses for sale in San Diego. When you disclose to us your requirements, capital available to purchase, your concept.., we can select the right fit for you so you dont waste your time driving around town to look at businesses that may not work out at the end. Example: Your concept is to buy over an existing restaurant location to do Italian or Sushi. When you dont let us know that, we will email you the restaurant location that may already have an Italian or Sushi restaurant in the shopping center. -Your time is important so let us help you preserve it. - Buyer cannot directly contact the owner, employees or other representatives of the business except by prior written permission from our company. After the viewing of the business with the owner, if the buyer is interested in moving forward and wants a chance to review and verify the financial documentation, lease, rent statements, permits, expenses... Buyer should make an offer based on the information provided to them on the listing profile. The offer is subject to the buyer's own investigation of the financial documents, lease and other requested documents by buyer during the contingency period of about 2 to 3 weeks, depending on the buyer and seller's agreement. If the buyer is unsatisfied with the financial documents and/or lease, the buyer can cancel the offer anytime during the contingency period. Why do I have to make an Offer to verify the info, I already signed the NDA? -The offer gives you the first priority, subject to your own investigation of the business during the set contingency time. By making the offer, the buyer would gain the exclusive right to thoroughly examine the business with the agreed upon contingency period when the offer is accepted. -The seller is obligated to provide all agreed upon information and documentation related to the business for your own verification and investigation. These items contain very sensitive information and are extremely confidential to the owner of the business. The owner will not waste their time to supply this lengthy documentation without first reaching an agreement on the price and terms. When will an escrow be opened? And what can I do if I find a discrepancy on the information provided to me by the seller? Am I legally bound to the Offer? -The offer is contingent upon the Buyer verifying the documents within the agreed upon length of time after receiving such documents/information from the seller. The buyer will have a specific time and date clearly stated in our Business Purchase Agreement form (Section 7) to remove the contingencies in writing or cancel the offer. -If the buyer found the information provided by the seller to be inaccurate or not as represented by the seller, the buyer can withdraw the offer anytime during the contingency period. The Un-cashed check will be mailed back to the buyer. -Both buyer and seller can also negotiate for when the escrow should be opened. In some instances, with the agreed upon arrangement, an escrow will be opened the next business day from when the offer is accepted. If the buyer is to cancel the offer within the contingency period, the only risk the buyer would face is the escrow cancelation fee. Will I lose my deposit if I make an Offer? An earnest deposit should accompany the Offer to be made by means of CASHIERS CHECK or PERSONAL CHECK in the amount of 10% of the total purchase price payable to an escrow company to be applied to the purchase price. Unless otherwise stated and agreed in writing by both parties, both Buyer and Seller normally agree that BUYSELL INC is to retain the deposit check in an UN-CASHED form until placed in escrow or returned to Buyer if the Offer is canceled by Buyer in writing during the contingency period. Will you co-op on commission with my representative? -Unless we are first approached by your agent who asks for a co-op agreement and is present at the first meeting at the premises, as disclosed in our advertising material, we do not co-op .The confidentiality of the business rests solely on our company, we do not want to risk it by working with other brokerages. -Most business brokerages do not co-op. -However, we are pleased to work with your broker/agent/attorney/CPA/financial adviser to accomplish the sale. We are just not responsible for their fees on your behalf. -Provide required documentation and complete the rental application and financial form from the landlord. *BUYSELL INC will prepare a fair Allocation of the Purchase price for buyer and sellers review and approval. Buyer and seller can consult their CPA for the Allocation suggestion. - Buyers are responsible for 1/2 of escrow fee, lease assignment fee, rent deposit charged by the landlord and sales tax on FF&E. Escrow officer will provide buyer with a more detailed and correct estimate for all the fees which are due at COE. How much do I pay on the sales tax? The buyer doesn't pay the 8% sales tax on the total purchase price, just on the amount being allocated and agreed upon by both parties on the FF&E. Example: Purchase price: $100,000. The amount being allocated to FF&E is $10,000. The buyer will only pay $800 in sales tax. -Obtain a business license from the appropriate city office if business is within city limits (if in an unincorporated area, a county business license may be required). -Contact the State Board of Equalization to obtain a retail sales permit (if the business involves selling a product). This is called a Seller's Permit. -If a liquor license is involved, contact the department of Alcoholic Beverage Control. -Obtain a Federal Business Employer Number. -Obtain any other insurance coverage desired. -Contact the Employment Development Department to open an account, apply for a registration number to pay unemployment insurance and state income tax withholding. -Provide necessary documentation and information to the landlord in order to affect the transfer of the lease. Meet with the seller to do the inventory check and determine the amount of the inventory. Supply the escrow holder with the inventory list and the exact amount for the inventory (if applicable). Meet with the seller to transfer utilities and determine if there will be any adjustments for inventory.